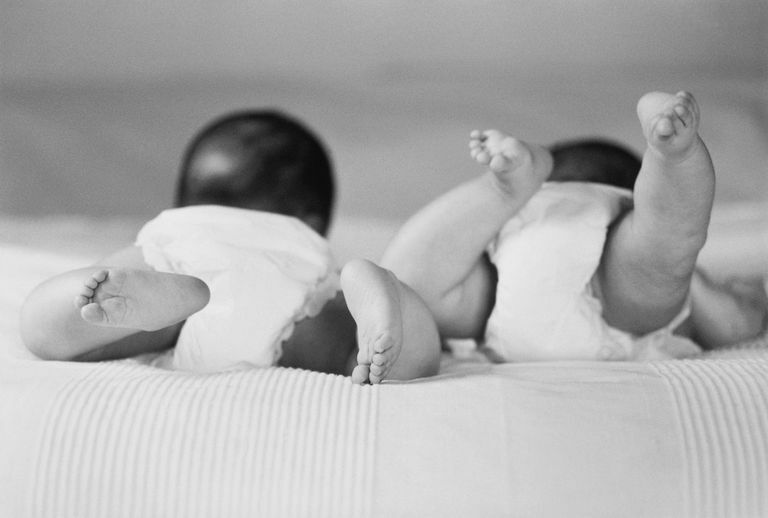 There's no way around it: having twins or multiples means double the diapers! For the first few years of their children's' lives, parents will have to contend with diapers -- lots and lots of diapers. Every parent has to make a choice on which type of diaper product they'll use. Will it be cloth or disposable? As more families commit to living a greener lifestyle and seek more natural options, there is increased effort to choose a diaper product with the least environmental impact. However, parents of twins and multiples must also consider convenience and cost-effectiveness in choosing a diaper style. A parent of twins will change more than 5,000 diapers in the first year alone! That number increases exponentially for parents of triplets, quadruplets or more. And diapers don't disappear after the first year. Many multiples potty train later than their singleton counterparts, so parents can expect to use diaper products for 2-3 years. Because it's such a consuming chore for parents, it's vital that they choose a product that meets their needs. While disposables are the most common preference, they can be costly and parents have to constantly restock their supply. Many families are concerned about the impact of disposable diaper products on the environment, and leery of the chemicals used to enhance the diaper's absorbency. For families who dread the additional laundry burden generated by cloth diapers, a diaper service may provide an alternative, removing soiled diapers and returning them clean, folded and ready-to-use again. Are convenient: they're ready to use and easy to put on and take off. Are generally more absorbent than many cloth products, and may need to be changed less often. May reduce the contact between the changer and the diaper's waste contents. Increased absorbency help babies' bottoms stay drier, preventing outbreaks of diaper rash. Don't generate extra laundry or require folding. Are readily available; parents can buy in bulk at discount stores, or purchase an emergency stash at any grocery store. Are available in various sizes to accommodate babies as they grow. Are the common preference for many sitters and day care outlets. Can be easily disposed of, even when out and about. Require less initial investment than cloth diapers and don't generate costs for laundering. The cost of using a diaper service may rival the cost of buying disposables. The chemicals and treatments used by professional diaper services can also have a negative environmental impact. Are available in natural fabrics that may reduce discomfort for babies with allergies or skin sensitivities. Claim less natural resources to produce. Diaper services pick up soiled diapers and return them clean and folded, a convenient option for busy parents of multiples. You pay for materials once and then recycle them, instead of constantly having to restock. Children who wear cloth diapers may be easier to potty train, as they are more aware when they are wet. Don't contain questionable chemicals like dioxins, dyes or allergens. Are softer on babies' skin. Can be reused for subsequent siblings, or even repurposed as household rags once the diaper days are over. New products like wraps and liners make it easier than ever to diaper babies. May be more economical than disposable diapers, which can cost upwards of 15-20 cents per diaper. There are pros and cons for both types of diapers, and the right choice is whatever product suits a family's individual needs. New products and production techniques have improved the options for both cloth and disposable diapers. Some families find that a combination approach works best: using cloth diapers for newborns and disposables for more active toddlers, or using cloth diapers at home and disposables while out and about.